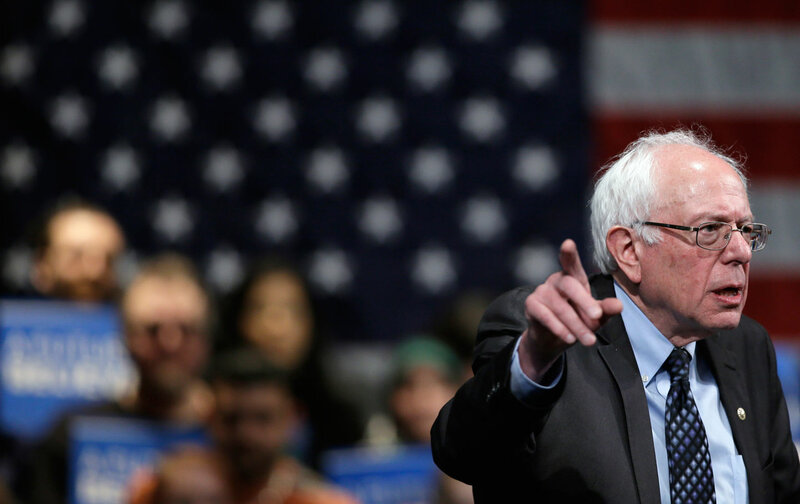 Joining with Elizabeth Warren, Sanders wants students to organize around the legislation. President Donald Trump doesn’t appear willing nor interested in addressing astronomical student-debt levels, which long since crested above $1 trillion. In fact, his administration has made it easier for for-profit colleges to rip off students, and recently scrapped Obama-era regulations that limited rates loan-guarantee agencies can charge people who defaulted on student loans. His budget also proposed cutting $5 billion in higher-education funding for low-income Americans. Perhaps that’s not surprising from a president who just finalized a $25 million settlement stemming from his scam for-profit university. That’s a financial tragedy for the millions who hold student-loan debt and the students who will matriculate while Trump is president. But Trump’s unwillingness to even motion toward a student-debt plan creates a massive political opening for Democrats. Senator Bernie Sanders stepped into that breach Monday afternoon, introducing a bill with Senator Elizabeth Warren, Representative Keith Ellison, and several other members of Congress. The College for All Act aims to eliminate tuition and fees at public four-year colleges and universities for students from families that make up to $125,000 per year. The bill would make community college tuition-free for all income levels. “We need organized events at every college campus across the country,” said Representative Pramila Jayapal, a Sanders-backed candidate who ran last year on a pledge to introduce this bill in the House. One year ago today, tuition-free college was a catalyst of Sanders’s presidential campaign, where he captured close to three-quarters of the under-35 vote during the primary. The College for All Act is substantially the same as his campaign plan, though the income cut-off is new. Hillary Clinton frequently assailed the Sanders plan’s lack of an income limit, often offering some variation of the line “I don’t think taxpayers should be paying to send Donald Trump’s kids to college,” as she said during one debate. The act would have the government pay 67 percent of tuition subsidies at public colleges and universities, while asking state and tribal governments to pay the other third. Sanders’s office pegs the cost of the legislation at $600 billion, and it would be financed by a tax on Wall Street speculation. The legislation also weaves in several other progressive higher-education proposals. It ends the federal government’s ability to profit from student loans—any excess revenue would be plowed back into Pell Grants under the legislation. “It is obscene that the United States government is making a profit off the backs of people who are trying to get an education,” said Warren, who has railed against the revenue excesses for years. It would also allow students to refinance existing loans at low rates, and would cut the government lending rate for new undergraduate borrowers to 1.88 percent. The United States Students Association, the American Federation of Teachers, the National Education Association, and other groups have endorsed the legislation, and might be helpful in organizing support going forward. There are five Senate co-sponsors for the bill (Warren, Kamala Harris, Richard Blumenthal, Chris Murphy, and Kirsten Gillibrand) and fourteen in the House, including Ellison, co-chair of the Progressive Caucus and deputy DNC chair. That count alone shows the political momentum behind this issue. When Sanders introduced a similar bill in 2015, it had zero co-sponsors.